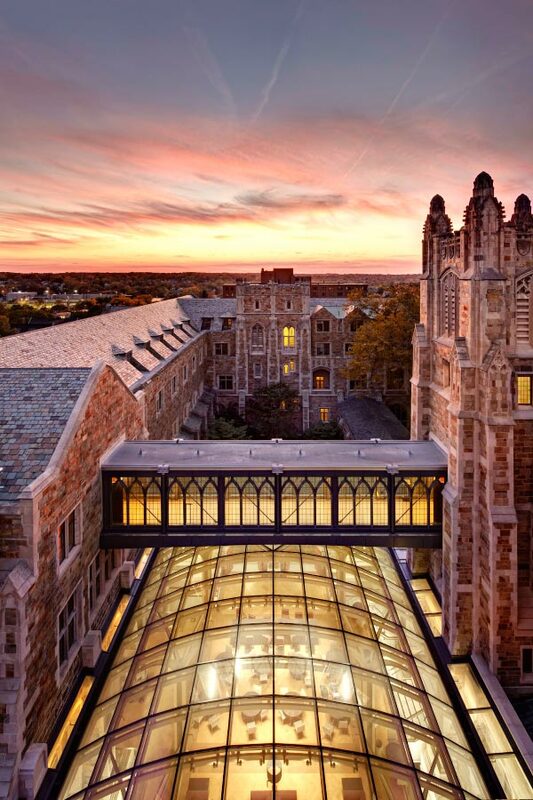 Since December 2009, Leidal & Hart masons have been steadily working on historic gothic-style elements on the University of Michigan’s Law School Academic Building & Hutchins Hall Student Commons Addition. 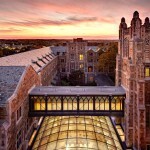 The first academic addition ever to be completed on the Law School – originally constructed in 1924 – is underway along with Robert B. Aiken Commons, a two level community gathering place for students, faculty and staff. 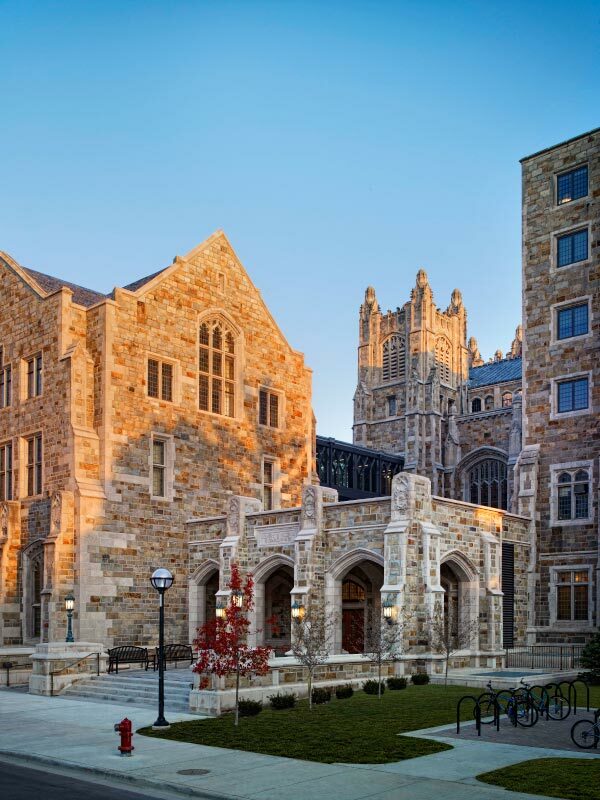 One of the toughest parts of the project is matching existing 80-year-old granite and ornate hand-carved limestone on the façade of the current buildings. The color, texture and joint appearance in the granite is rare so a Massachusetts quarry has worked with the University and Leidal & Hart to mine and deliver similar granite. 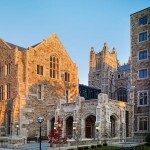 The same Massachusetts quarry mined the granite used on the Law Quad back in 1924. Leidal & Hart masons have surgically removed, salvaged, inventoried, cleaned and reinstalled the granite and ornate limestone. Existing limestone elements on Hutchins Hall have been measured in the field to create full-size templates to be used on the addition. Stone Carvers are recreating the original hand-carved limestone on the building by using field measurements and photos of the elements. To maintain balance of uniformity on the building, Leidal & Hart masons rotate around the site for a more random stone pattern. The historic renovation and addition is slated to be completed in August.